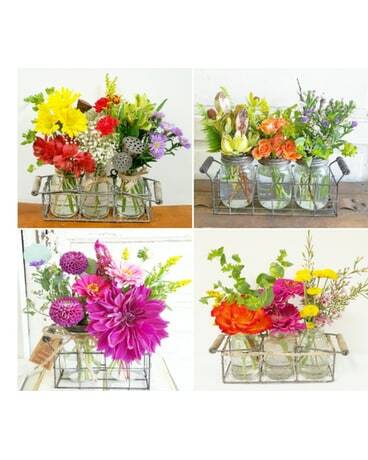 Vintage Crate with Color in Greensboro NC - Sedgefield Florist & Gifts, Inc.
Adorable vintage crates stuffed with a colorful wildflower-inspired assortment of fresh cuts. The crates vary based on our inventory and the price range chosen. The crates, including flowers will typically range from 6"x6" to 12"x8". If there is a specific flower and/or color preferred, please let us know that in the "special instructions" upon checkout. We will accomodate all requests that we can, keeping in mind that we will be restricted at times.